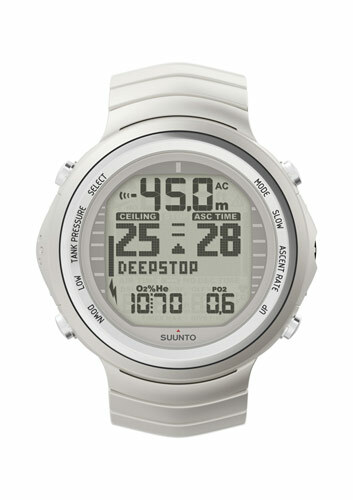 Suunto DX is the world's first dive computer to incorporate a digital compass. The compass shows the general direction with a graphical compass rose, as well as the exact bearing with a numerical display. Headings can be stored in Suunto DX memory for later analysis. The dive compass can naturally be used on land too. New data cable included. What's new on the Suunto Dive Computers DX? By using Suunto DX optional wireless transmitter, the diver can also monitor tank pressure and air consumption data from the wrist. The remaining tank pressure is displayed both numerically and graphically, and an estimation of the remaining air-time is given throughout the dive. This allows the diver to monitor the remaining air supply at the same time as he monitors depth and time. Real time air consumption is also stored in the memory. Suunto DX is the ultimate instrument of choice for all kinds of recreational, military and professional divers. Competitive divers such as freedivers, as well as technical divers, who do not compromise when it comes to the quality, materials and functionality of their equipment, will find Suunto DX an invaluable diving aid. The beautifully designed Suunto DX has a titanium housing and includes an USB-compatible PC interface and the Suunto Dive Manager 2.0 software. 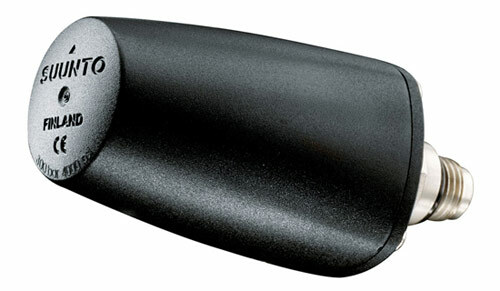 • Digital compass that can be used both above and under water.